In celebration of the forthcoming July 4th Holiday Weekend, we’re focusing this week on American watch collection essentials. 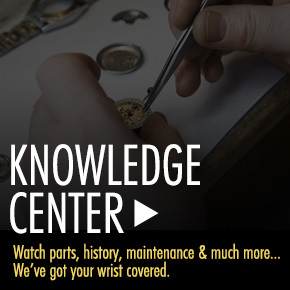 While almost all American watchmakers have production facilities overseas, many including Invicta, Michael Kors, Caravelle New York and Wittnauer are headquartered in the United States. What’s more, the designs for their watches are all created on American soil. Although Invicta watches reflect a rich heritage of Swiss watch-making, dating back to when the brand was founded in La Chaux-de-Fonds, Switzerland during 1837, the watchmaker has been an American based company since the mid 1990’s and is headquartered in Hollywood, FL. 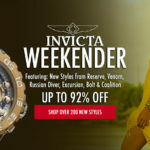 Invicta by far is one of leaders in the watchmaking industry today and their best-selling collections, including the Pro Diver, Venom, Subaqua, Wildflower, Russian Diver, Bolt and Jason Taylor have all been created and designed domestically. The Jason Taylor Limited Edition Reserve Chronograph is an outstanding choice. This highly rugged and masculine Swiss-made men’s watch features the robust 51mm diameter, 22mm thick case in premium grade black ion-plated steel, presented on a matching multi-link bracelet in black ion-plated stainless steel. 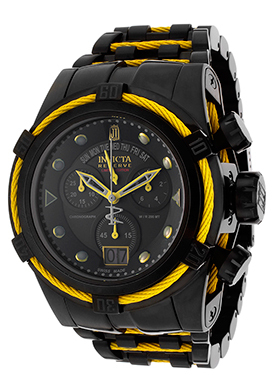 Decorative yellow cable wire braided rope detail accents the case side, bracelet and stationary bezel. The attractive black dial features three sub-dials, luminous yellow skeleton hands and outlined cabochon-dot hour markers. Features include automatic date any day-of-the-week windows, small-second, 30-minute and 10-hour registers. Swiss-made quartz movement inside assures you of precise time-keeping accuracy. A locking screw-down crown and case back provide water-resistance to 200 meters or 660 feet. 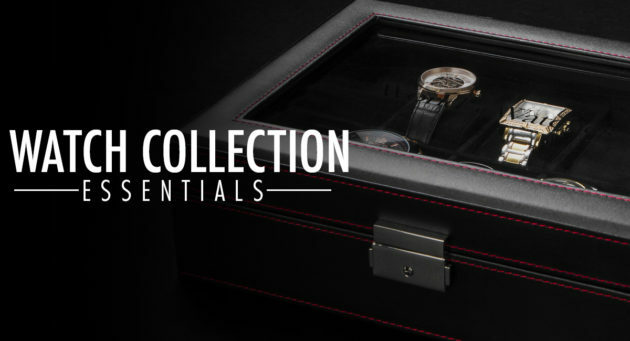 This Invicta chronograph comes in a white collectors’ carrying case. American designer Michael Kors is one of the most popular names in fashion throughout the globe. 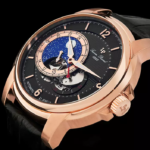 The designer’s bold and generously oversized watches for men and women featuring an innovative use of materials have recently surpassed his fashion lines in popularity. The Michael Kors JetMaster Automatic Multi-Function watch makes a bold statement on the wrist in black ion-plated stainless steel. This dynamic, highly pronounced men’s watch features the robust contoured case in black ion-plated stainless steel, highly polished to a mirror-bright glow. The matching black ion-plated stainless steel bracelet in a satiny brushed finish has a convenient push-button clasp. The unidirectional rotating black ion-plated stainless steel bezel with a u-notch detailed rim surrounds the partial skeleton dial with four sub-dials, luminous hands and hour markers. Features include date, day-of-the-week, month and 24-hour windows. An exhibition skeleton case back lets you see the intricate automatic movement inside. 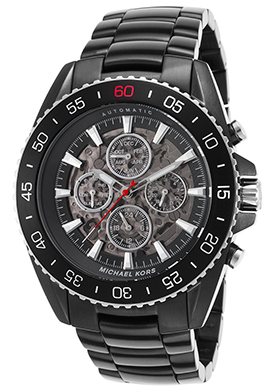 Michael Kors men’s watch is 45mm in diameter, 14mm thick and is water-resistant to 50 meters or 165 feet. Caravelle NY is the fashion watch division of American watchmaker Bulova and was founded in 1962. It is headquartered at the Empire State Building in Manhattan. The brand not only features the popular metropolitan city’s name, it is dedicated to capturing the cutting-edge energy and spirit of New York City with its sleek, trendy and uptown designs. The Caravelle NY Multi-Function women’s watch strikes a high-fashion note in yellow gold-tone ion-plated stainless steel and tortoise-look resin. This ultra-chic women’s fashion watch features the perfectly round case in highly polished yellow gold- tone stainless steel, presented on a multi-link bracelet in tortoise-look resin. Sixty shimmering inlaid crystals dramatically adorn the perfectly round yellow gold-tone stainless steel bezel. The dramatic patterned brown dial features three sub-dials, polished gold-tone sword hands, Roman numeral and baton hour markers. Features include date, day-of-the-week and 24-hour registers. Additional features include quality quartz movement inside and water-resistance to 30 meters or 100 feet. 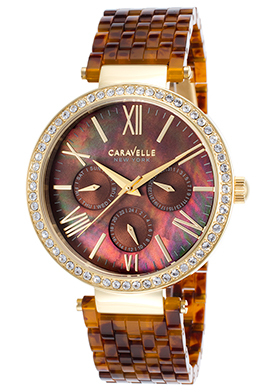 Caravelle NY women’s watch is 38mm in diameter and 9mm thick. 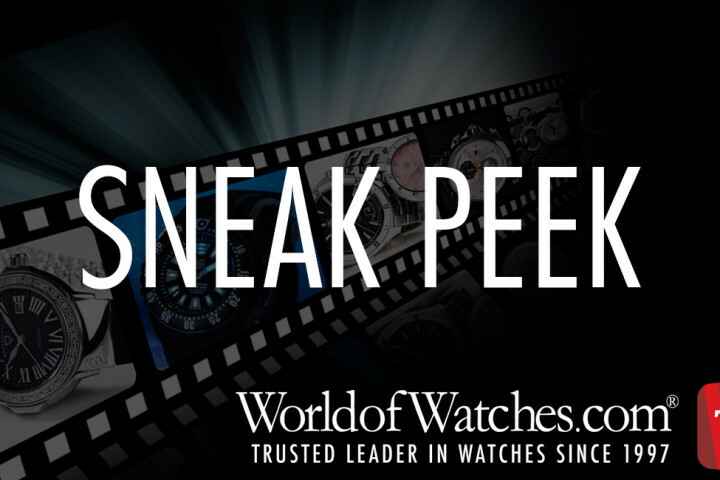 Wittnauer Watches have been an American time-keeping institution since the brand was founded in New York, NY during 1885. 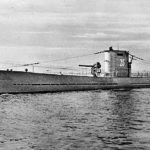 The brand was renowned in the early 1900’s for its navigational watches and was commissioned by the US Navy during World War I. Today Wittnauer is now a division of Bulova Watches and the brand is also headquartered at the Empire State Building in New York City. 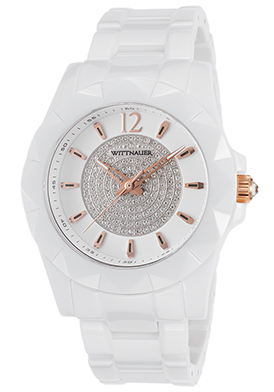 The Wittnauer White Ceramic women’s watch shines with modern sophistication. This fashion-forward timepiece features the contoured round case and matching triple-link bracelet in lustrous white ceramic. The stationary, triangular patterned white ceramic bezel surrounds the shimmering pave crystal inlaid dial with a white outer dial, polished rose gold-tone hands and hour markers. Features include quality quartz movement inside and water-resistance to 50 meters or 165 feet. Wittnauer women’s watch is 38mm in diameter and 12mm thick. Get Ready, Get Set & Start Shopping!